Natures Purest is a UK based website which sells the most adorable and luxurious looking baby clothes, toys, accessories and bedding which is all made using organically grown materials, naturally coloured cotton in shades of green, cream and brown, free of pesticides and other nasties ensuring that your baby's sensitive skin will be protected from harm. They have many different ranges, all with signature characters which are so cute and are perfect for a baby to love. All of Natures Purest pieces have little touches which really give them an air of luxury and special fee, something which every parent wants to give their precious little ones. I wanted to show you all some of the beautiful pieces which Natures Purest has to offer, I'm sure you'll all be lusting over them as much as I was when I first saw them. The first range of Natures Purest which I love is their Pure Love range. This range is set around cute bunny characters who come with knotted and silk ears and crocheted knitted clothes, so adorable! The details of this range are simply beautiful and are so sweet for babies. The Pure Love range features items finished with satin ribbon and velour which really would be stunning in any babies nursery. Tyler Lee is now the proud owner of the Pure Love Boy Bunny who he was intrigued by the moment he saw him. He's keen to hold him in his arms and play with his ears, it's so cute to see! Another gorgeous range that Natures Purest have is Hug Me, a range made from super soft jersey fabric and velour adorned with the cute Hug Me Bear embroidery and applique. The Hug Me Bear is where Natures Purest all began and it is such a sweet bear. 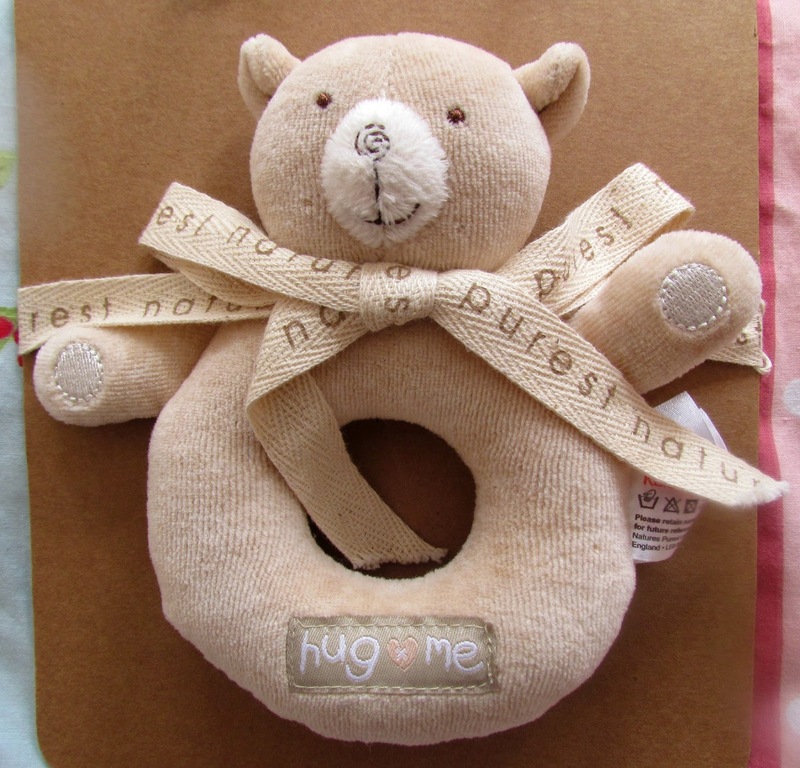 From this range Tyler Lee now has the Hug Me Bear Round Rattle which he absolutely loves! He loves the sounds it makes and it is the perfect shape for him to hold easily. The cute Hug Me Bear faces really makes this such a sweet toy for babies. Tyler Lee also has the Hug Me Bear booties which are a lovely neutral cream colour, perfect for a baby girl or boy and are embellished with the Hug Me Bear face. These booties state that they're for age 6-12 months but they are too small for Tyler Lee's feet, he's such a big foot, such a shame as I love them, they're so sweet! Finally we have Natures Knits, a stunning range of knitted blankets and clothing which come in two varities which come in either plain or cable knit. Tyler Lee has the Natures Knits Plain Hat and Mitts and they are so adorable. The knit is of such great quality and is so simply yet very stylish for a little baby to wear. The wool isn't of the itchy variety and is delicate enough to put on a babies head and hands. These will be used so much during this cold autumn and winter to come. You can browse these pieces and all the other beautiful items Natures Purest have to offer on their website, you can also find them on Twitter and Facebook. Aren't these pieces beautiful? 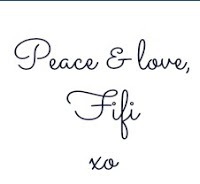 Tyler Lee and I absolutely love them and shall be showing them off at every opportunity! Would you like to be in with the chance to win these adorable pieces for yourself worth a whopping €67, then simple enter my international giveaway via the Rafflecopter. There are some compulsory entries and the more you do the better chance you have of winning, best of luck to everyone who enters! Our new bub, due in December. I would like to win one for my nephew.